A locksmith is a professional with the ability to relieve stress, panic and anxiety attacks that happen when you lock yourself out of your home or your car. You know how it feels, most of us have made that blunder and locked ourselves out of home or car, even if not all of us would admit it. Anyway, stress is the first thing we feel when we come to the realization that the keys to our car are inside the vehicle and all of the doors are locked. Stress is the first thing we feel when we get home after a late movie only to discover that our house key is inside the locked house. It is the emergency locksmith from Bostons Locksmith who comes to our rescue late in the evening to help us get our front door open or who gets the door open and the keys to our car back in our hands. If you don’t have our phone number in your contacts, it’s something you need to consider doing. Even if you feel quite certain you would never lock yourself out of your car or home, think again because it happens to people just like you all of the time. We know this because our phone rings all the time with stressed out people begging for our help. Here are just a few reasons you might want to call a locksmith. Just like everything else that’s in your home, like the appliances and other components, locks aren’t built to last forever and they will eventually wear out. When the lock on the door of your home or business is becoming difficult to lock or unlock, it might be time to have it changed. Even if you aren’t having problems with your older locks, it still makes sense to change them out. Modern locks are much harder to pick than ones installed even just a few years ago. There are thousands of things that you need to do when you move into the house you just bought. And changing locks should be on the top of the list. The truth of the matter is that you have no idea who has keys to what is now your home. This is not a chance you should take, play it smart and get all of the locks on your home changed right away. You will have peace of mind knowing nobody outside your family has a key to your home. When you break a key or the key you have simply won’t unlock the door anymore, give us a call. We will easily provide you with a replacement key that works perfectly. You know it will because you can test it right in front of us. The key you had made at Home Depot might work or it might not work, you won’t know until you drive home and try it. If it doesn’t work, you get to drive all the way back to Home Depot. So it’s easy and convenient to call a locksmith for key replacement. Keys have come a long way in the last several years and virtually every vehicle made comes with a key fob that locks and unlocks your car. But we are the same after all of these years and are still prone to moments of duh and wind up locking our keys in the car. It’s nothing to be ashamed of, ask the person sitting next to you and we are pretty sure they will admit to locking their keys in the car at some point. Just give us a call and we will come to the rescue. And we promise we won’t judge you and we promise not to post the incident on Facebook. You might have separate keys to various door locks in your home. For example, you might have one key that opens the front door and another key that opens the back door. If you want to simplify things and have one key that opens all of your doors, we can do that. 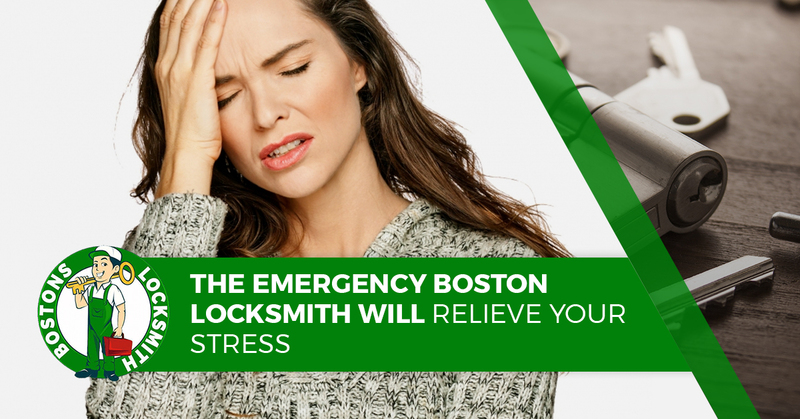 If you are having any issues with the locks on your home, please give Bostons Locksmith a call.